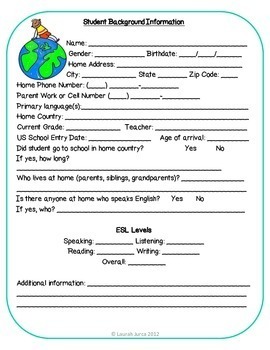 This packet contains all that you will need to start your own portfolio assessment system for your ESOL students. 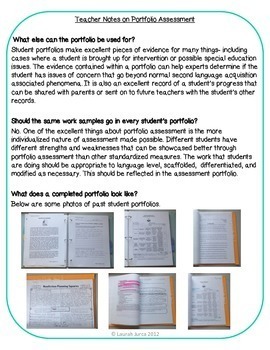 These portfolio materials are designed to complement WIDA-based instruction, and make a handy resource for showing parents, principals, teachers and other stakeholders the student's strengths and weaknesses, as well as the progress of their language development. Newly updated with new features added! 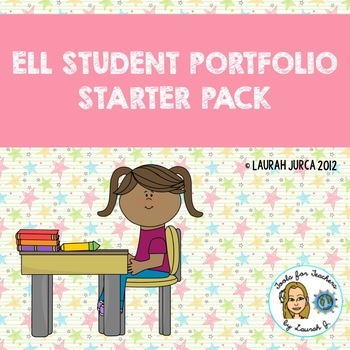 Please note, this newly updated ESL Portfolio Starter pack now includes Kid-Friendly Rubrics for Reading, Writing, Listening, and Speaking. Please do not purchase both! 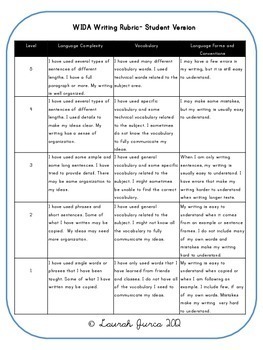 Any claims of correlation or alignment to the WIDA ELP Standards are solely those of Tools for Teachers by Laurah J. and have not been evaluated by WIDA.